When it comes to visiting Walt Disney World these days, it seems you’re either a "princess person" or a "troll person." While the former are thrilled that Disney will open an attraction at EPCOT based on the hit movie “Frozen” in 2016, the latter are just as upset that it’ll rise on the current site of Maelstrom, the Norwegian-themed boat ride that will shut its doors on Oct. 5. The news has sparked cheers among “Frozen” fans, a vociferous counter-protest (#savemaelstrom) and plenty of grumbling about how Disney management is desecrating Walt’s vision for the park. The uproar is all the more surprising considering the original ride was never overly popular in the first place. But ride it they did. Opened as part of the park’s World Showcase in 1988, the ride was designed to take visitors on a Viking-boat tour of Norway’s past and present. Amid the trolls, polar bears and waterfalls, fans loved its animatronic characters and the way it celebrated Norwegian culture rather than fictional characters. Others maintain that, at 26, Maelstrom has grown as long in the tooth as the trolls that inhabit it. For them, replacing the ride — even with one based on a fictional character — is long overdue. And “Frozen” is just the property to provide it. Released in November 2013, the story of the princess sisters Elsa and Anna has gone on to ice the competition with its empowering story, irresistible songs and a global box office of $1.27 billion, according to BoxOfficeMojo.com. 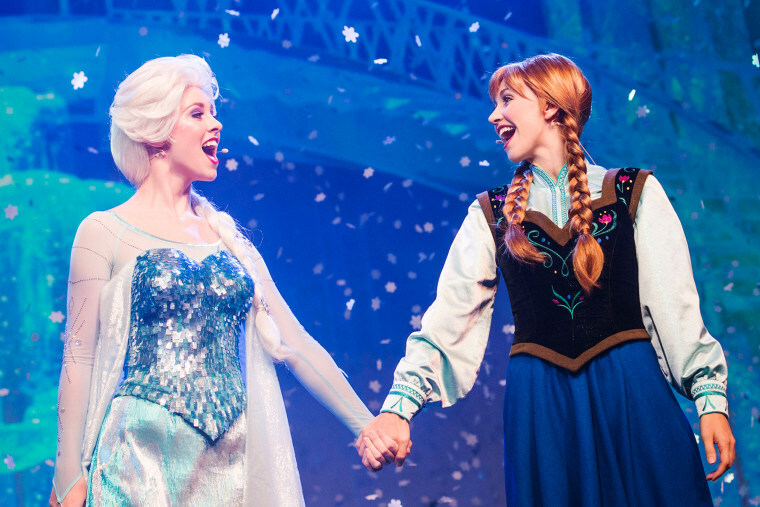 Girls around the world know the songs by heart, merchandise flies off store shelves and wait times for meet and greets with Elsa and Anna have been known to approach four hours — even without a freestanding attraction. As a result, a “Frozen”-themed attraction will have a built-in audience the day it opens. At this point, Disney is keeping mum about details — the company didn’t respond to inquiries seeking comment — but industry observers suggest it will include a live show featuring the princesses and their pals, along with a dark ride that plays off the movie’s much-loved storyline. Whether or not that fictional story is appropriate for the World Showcase mission will remain a matter of opinion. However, given the competitive landscape, the drawing power of today’s licensed characters and the built-in audience for “Frozen,” the closure of a fond, but old-fashioned attraction, like Maelstrom was probably inevitable.